Thanks for helping me out too. Posted this on Dogs On Acid too. DJ Die - Unknown Title "Groove"
Studio Drum "It's the way that we rock when we're doing our thang"
Nice, I'll add the links then too. Are there just 2 mixes of Trust Me or is there a 3rd? djextreme posted the Battlestation tune as Gang Related & Mask - Battlestations instead of Roni Size - Battle Stations. Wondering which one is correct? Gang Related & Mask is probably more accurate (assuming that's the info written on the dub listed here), although for some of these it's difficult to know for sure as Frost and Bryan Gee sometimes gave out different details for the same tune and some of the dubplates have different artist details. eg the Krust - Slot Machine info is from a dubplate, but Frost said it was by Scorpio when he played it on Kiss FM. Yeah, It gets confusing. I've listened to quite a few Fabio & Grooverider shows where they get the artist and the title completely wrong eh he. I guess in the old times, you got the DAT, went to the pressing plant and just scribbled some info on it. 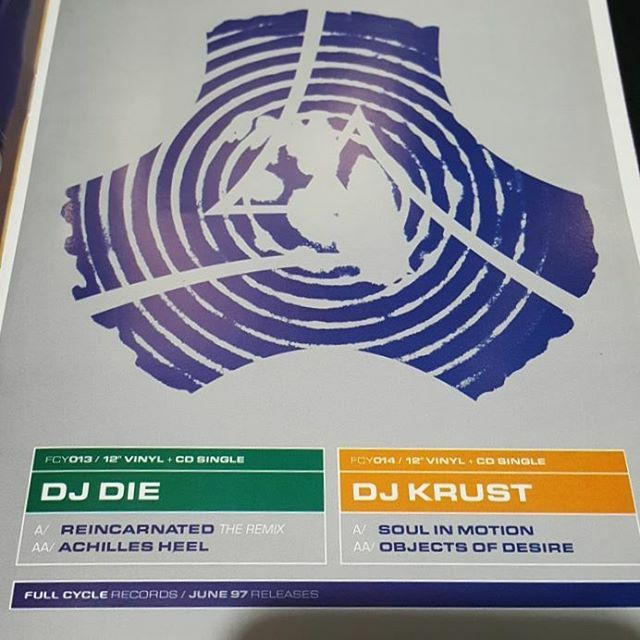 EDIT: just listened above, this is DJ Krust - Unknown Title "Punch Bag"
That's this track I put in the 1996 incomplete info / unconfirmed post - DJ Krust - Unknown Title "Punch Bag"
I'm preaching to the choir here, but what about this? JJ Frost set, 2nd last tune, has to be one of the Full Cycle crewmates. Not sure this thread's intended for speculation as it could get messy, if not then ignore the above. Great thread if I may say so! I think that's an unreleased SMF tune. Plus there was a Bryan Gee show from a few weeks ago where he covered for Ray Keith. Again he played some old unreleased stuff. Forgot DJ Krust - Asian Love Dance (Mix 1) did get released on Routes From The Jungle - Escape Velocity Volume 1. I made a mention of it in the list. Anyone know about this one? DJ Krust - "Objects of Desire" something different or simply a change in track title? Added. Came across a clip of DJ Krust - Angles (Original Mix with no Angles sample) which I added too.